This smart watch comes with high performance CPU and Memory for quick and smooth touch experience. You Can Put Sim Card , MPT, and Telenor in Watch as a independent mobile.When incoming call , sound and vibrate alert come. You can charge the whole night and use the whole day. 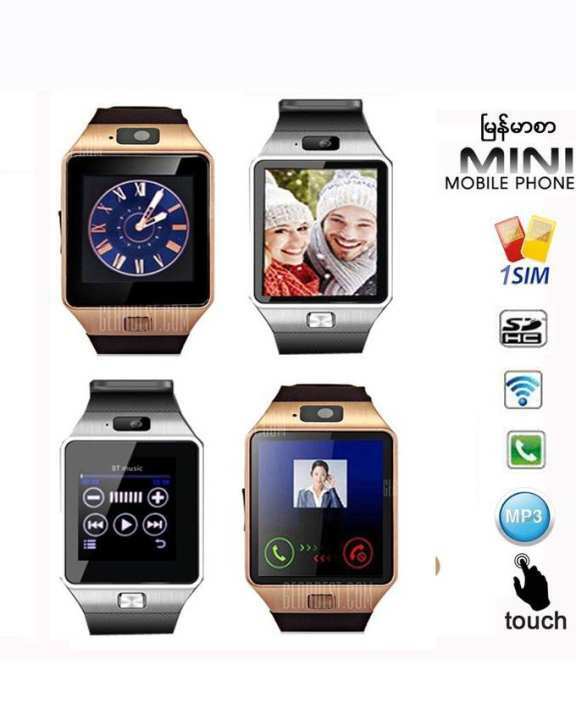 You can share all contact from your mobile to watch, play music from your mobile with Bluetooth hand free from watch. Snapshot photos can also be taken with your watch camera and you can view photo ,FM , Voice record with your watch inserting memory card up to 32GB. Therefore i buy this 5items.